Hey there! 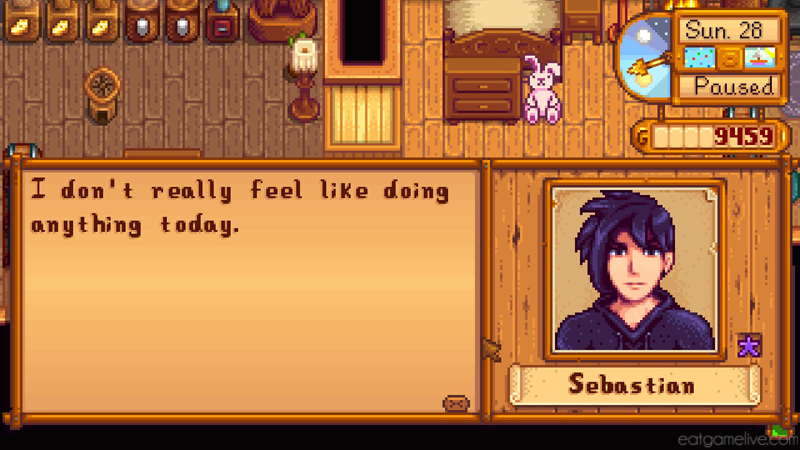 How’s the farm life been treating you? 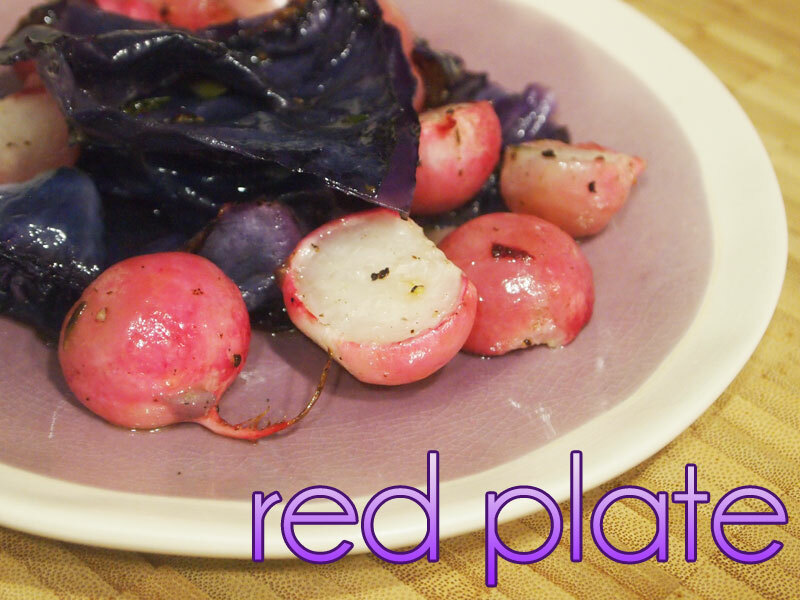 Take a break from the farm and relax with this healthy Stardew Valley-inspired meal: Red Plate! I really wanted to make this recipe since it looked so adorable in-game. I even went out and got a purple-colored plate so I could make it as authentic as possible. Prep time for this dish is roughly 10 minutes. Cook time is about 45 minutes.This makes 3 servings. 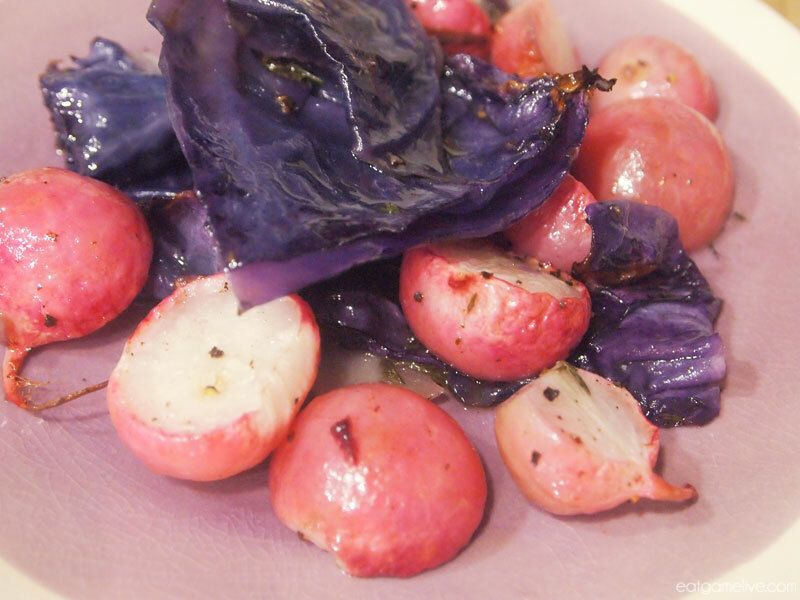 Remove the stems from the radishes and cut each radish in half. 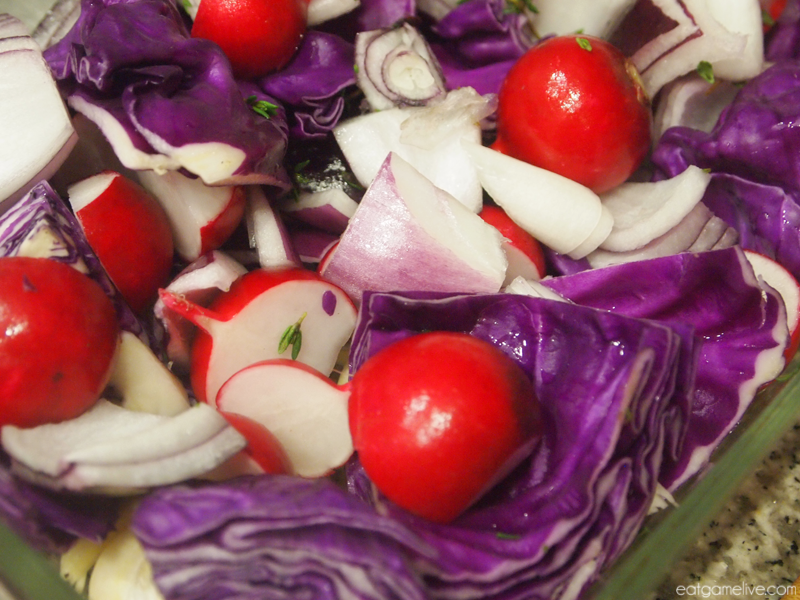 Take you red cabbage and quarter it. Cut each quarter in half. Chop your 1/2 red onion. 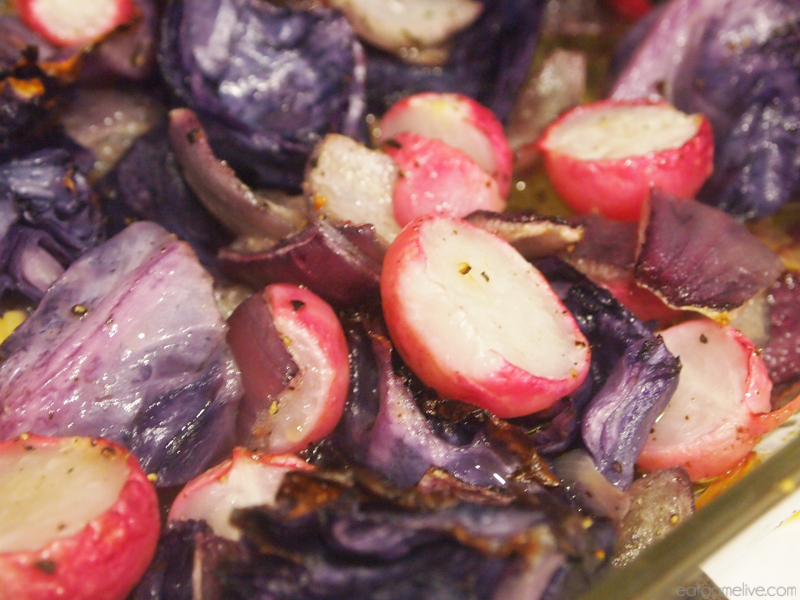 Place your garlic, red cabbage, red onion and radish in a large baking dish. 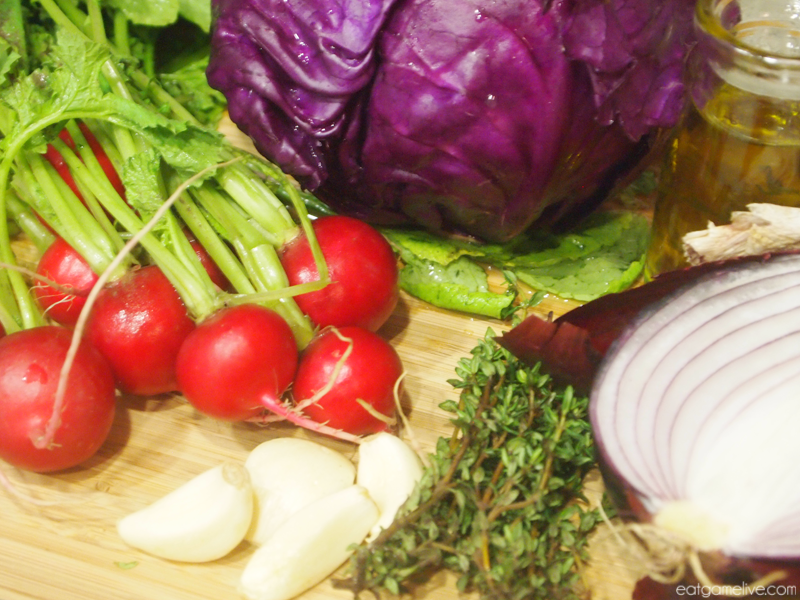 Drizzle your olive oil over the vegetables and mix thoroughly. Season with salt, pepper and thyme leaves. 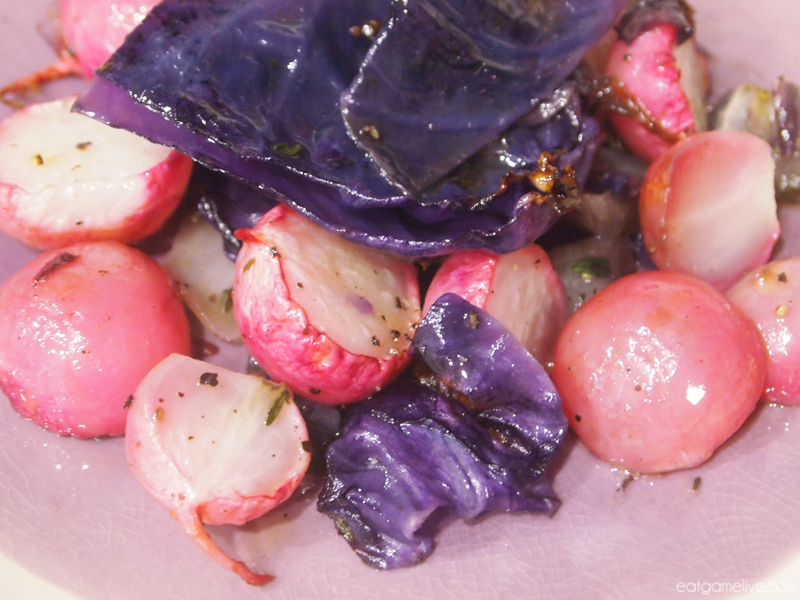 Roast your vegetables for about 45 minutes, or until the radish is soft. I really wish Queen of Sauce was on… I should’ve DVRed it. 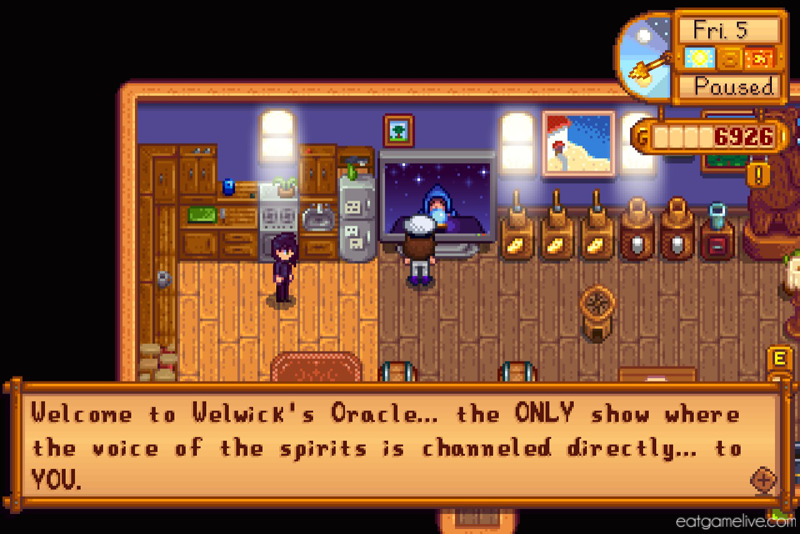 This entry was posted in stardew valley and tagged radish, red cabbage, red onion, stardew, stardew valley, vegetarian by admin. Bookmark the permalink.